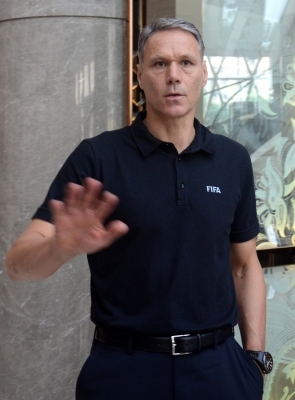 Moscow July 12 (IANS) The former Netherlands star and FIFA chief officer for technical development Marco van Basten said on Thursday that Croatian captain Luka Modric plays a decisive role in the Balkan squad. FIFA is to announce the 2018 FIFA World Cup awards after Sunday s final game between Croatia and France at Luzhniki Stadium and Modric is widely thought to be well-positioned to win an award. Van Basten said that Croatia have good players who fight until the last minute stressing that the influence of the 32-year-old midfielder Modric has been extraordinary.